The saga of the proposed Tesco development in Brownhills rumbles on. Both Walsall Council and Tesco seem to be very keen to reassure us all that negotiations are ongoing, that everything is being ironed out and smoothed over. Fresh from the latest round of praising the progress of the new Tesco in Walsall, the cabinet member for Regeneration, Councillor Adrian Andrew, has a message for the elderly of Brownhills: he’d like you to know that he thinks you’re all ingrates. On the 29th July 2010 the following Walsall Council press release dropped into my inbox. Detailed negotiations are taking place between Walsall Council and supermarket chain Tesco over a proposed new multi-million pound store. Scores of new jobs and a new market area could be created through the development off High Street in Brownhills. Members of the Brownhills Senior Citizens group have been assured they will be kept updated on the outcome of the talks. Councillor Adrian Andrew, Walsall Council Deputy Leader and cabinet member for regeneration, said: “We understand the worries that the many elderly members of the group have. “We’d like to issue this clear pledge to members of the group. They will be the first to know about the results of the negotiations. “There’s been a lot of misinformation flying around on this story which hasn’t helped anyone. “Let’s be clear about this. We first talked to the group way back in April when it became clear that detailed proposals from Tesco were to be put on the table, I have since met personally with the club to better understand those concerns. It is as a direct result of those face-to-face discussions with myself and the group that changes are now being considered and for no other reason. “We originally talked about the chance of the group moving to a new state-of-the-art building sharing with housing 21 a short distance away. This would at a stroke replace their current home for the last few decades and the offer is the envy of many struggling community groups. It would also help solve any worries about the upkeep of their current home. Ward members were briefed in February and were broadly supportive of the proposals, Councillor Andrew said. A proposed new Tesco superstore would replace and update the current Tesco supermarket, off High Street. Planning permission from Walsall Council’s development control committee would have to be given before the scheme could go ahead. Now I’m curious as to the thinking behind this missive. I note the terminology used for the number of jobs created continues to evolve – we’re now down to ‘scores’ – and whilst the self-basting councillor seems keen to tell us all how out of his way he’s going to resolve this inconvenience, he manages also to point out how ungrateful the pensioners are being. This seems, to be quite frank, rather unseemly for a man in his position. Let’s be clear, here. The council didn’t offer the group ‘a state of the art building sharing with Housing 21’ but a community room in a new-build sheltered housing complex. If Mr. Andrew knows of any struggling community groups in the area, perhaps a better solution would be to offer the room to them instead, and tell Tesco to build their overspill car park on the former market place instead. That way a struggling group is helped, and the OAP’s keep their facility. The veiled threat about the upkeep of the centre hasn’t gone unnoticed, either. I’d be interested to know who the ‘ward members’ were, and what, exactly, they were broadly supportive of, since there seem to be quite a few conflicting rumours still persisting about what, exactly, this development will involve. Contrary to the opinion of Councillor Andrew, most of the misinformation seems to be caused by ambiguous and vague press releases from the council itself. A little over a week later, this story appeared in the Walsall edition of the Express & Star. No online version exists, so I’ve scanned it below. From the Walsall Express & Star, Thursday 5th August 2010. Click for a legible version. This is a fair and informative article by Craig Hughes, and I’d be interested to understand it’s genesis, which seems to be Tesco itself. Oddly, we’re being presented with a peculiar choice: either we keep Senior Citizens Centre and have the marketplace somewhere else, or we demolish the centre and put the marketplace fronting the High Street. I don’t understand the conditions here at all. With offers like these, you're really spoiling us, sir. If we look at the last submitted plan, the current marketplace is left empty and undeveloped, presumably still owned by the Council. Could Tesco not extend their car park here, instead? That way the pensioners beloved facility is retained, the new public space (‘Marketplace’) can be developed as planned and we’re not left with empty ground where the market was. A land swap could still go ahead for the former market. I honestly can’t see what’s so difficult. It seems like we’re being punished for wanting to keep community facilities that have stood for years, and I don’t understand why that should be the case. I have to say, however, that judging by the previous failure of the market under Walsall Council’s stewardship, I wouldn’t hold out much hope for a new one starting three years hence. What is needed here is a council that is prepared to show some of the backbone and resolve that the Brownhills Senior Citizens have. Walsall Council and their Regeneration Chief, Councillor Adrian Andrew should be fighting for this area, for the town, and for the people that live here. Instead, we’re being made to feel awkward for not prostrating ourselves before him and his grand retail masterplan. I reiterate my previous statement that Tesco seem to be giving very little back to Brownhills in return for a huge retail reward – no wonder they can afford to be relaxed. One wonders what curious spell the retail giant seems to have cast over our undemanding and apparently supine council. This entry was posted in Brownhills stuff, Environment, Express & Star, Followups, It makes me mad!, Just plain daft, Local media, Local politics, planning, Shared media, Spotted whilst browsing the web, Walsall Council and tagged Adrian Andrew, Barbara Cassidy, Brownhills, Brownhills Market, Brownhills OAP's, Brownhills pensioners, Brownhills Senior Citizens Club, Derelict, Local politics, Petition, planning, Politics, Ravens Court, Redevelopment, Regeneration, Tesco, Tesco Development, Walsall, Walsall Council, Walsall politics. Bookmark the permalink. 9 Responses to The ingratitude. Whose town is this, anyway? I wonder if anyone’s actually done a decent survey in and around Brownhills to find out what the people who’re there actually think of these ideas? One of my primary contentions is that the only consultation Tesco undertook was in the current store, about a plan and model that was totally different to their current plan, which is a highly pared-down version. Consequently, many see the terms ‘new Tesco development’ and see new retail units, a store fronting the high street and a housing development. The whole thing is a botch job and Adrian Andrew – a man so blinkered he recently described Brownhills as ‘vibrant’ – seems to assent to anything his retail bosses require. Yet again we’re being sold down the river by people you wouldn’t trust to run a market stall, and indeed, proved they were incapable of even that. I note that the council press release expects the Senior Citizens of Brownhills to be grateful for being “updated” on the progress of Councillor A Android`s humiliation at the feet of the mighty Tesco. It must give them a cosy, warm feeling to be told that they will be the first to know that they will be evicted. Android, who represents over the hill and far away, should remember that he is the servant and not the master. This really is an example of greedy, local government at its worst. Indeed it is. 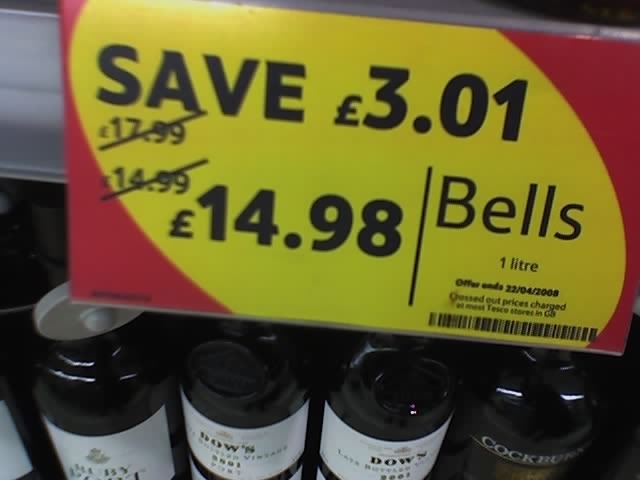 I know Tesco are coming and there’s bugger all we can do about it, but I’d just like to see Brownhills get the best deal possible for selling it’s soul. Tis will kill the town for good, and anyone who pretends otherwise is deluded. We have the right to scrutinise the process, and Tesco should be fronting up more for the community. Ah well, down the hatch. This is certainly very different from the early plans – gone are the flats along Pier Street and the houses along the canal – presumably no longer deemed “economically viable” under Tesco’s business model. This is a very raw deal for Brownhills. Its also a shame to lose the presence of the store on the High Street. There is no need for the “overflow car park” – it’s just Tesco being greedy again and being obsessed with having to comply with their business model, i.e. stores of a certain size MUST have a certain number of parking spaces. There is no need to lose the Senior Citizens Centre at all. The old market site could be used for housing and I’m sure the local housing association would be interested. What is interesting about this scheme is that Tesco have finally given up with the idea of buying out Kwik Fit, or at least hoping the Council would CPO it – that’s only taken 5 years to resolve. Instead it relies on the Council CPOing Ravens Court, which would have to go through a Public Inquiry. Presumably Tesco would pay the Council’s lawyers fees and the cost of buying off the Ravens Court owners, which probably means that they won’t be giving any money towards the Brownhills Transport Scheme, which I see now comprises making Silver Street two way and encouraging through traffic to use it instead of the High Street. Looking at the layout plan, I’d be surpised if the home delivery or main service areas actually work in terms of vehicle manoeuvres, but that’s architects for you ! However unpalatable, unworkable and unfair the proposals are, there appear to be thousands of local people who couldn’t give a stuff and use the store regularly. The only way this company will ever take notice is if people vote with their feet and sadly many people are blind to their bully-boy trading practices or they just don’t care. Is it coincidence that the leader of the district town team has a name that seems to be identical to that of the person who was in charge of the illuminations?